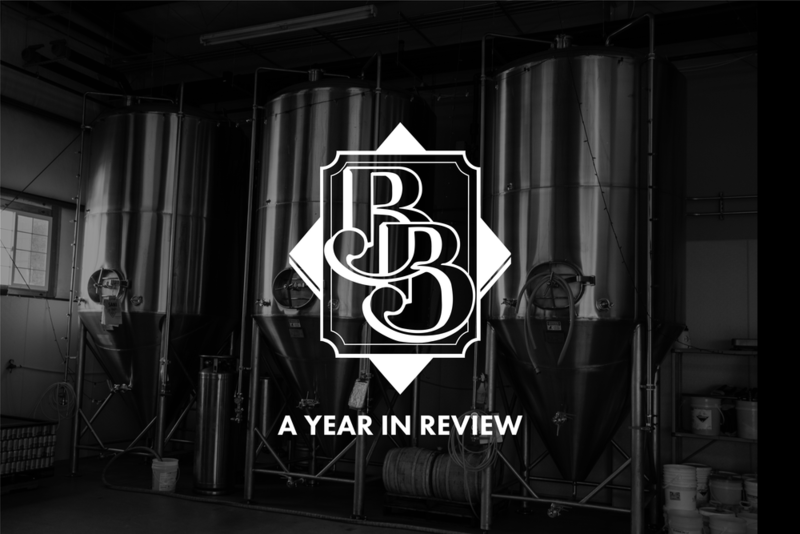 While 2018 may be a couple days in rearview mirror, we wanted to reflect with a By-The-Numbers style year in review! The following numbers are derived from carefully crunched statistics. Enjoy! Ed & Janet, the owners and faces of Boundary Bay, got Maui’d on May 18th in Hawaii. The whole team at Boundary is ecstatic! People who brew together, stay together. From Bellingham to Vancouver, we had the pleasure of working with 12 different breweries & cideries on collaboration brews. 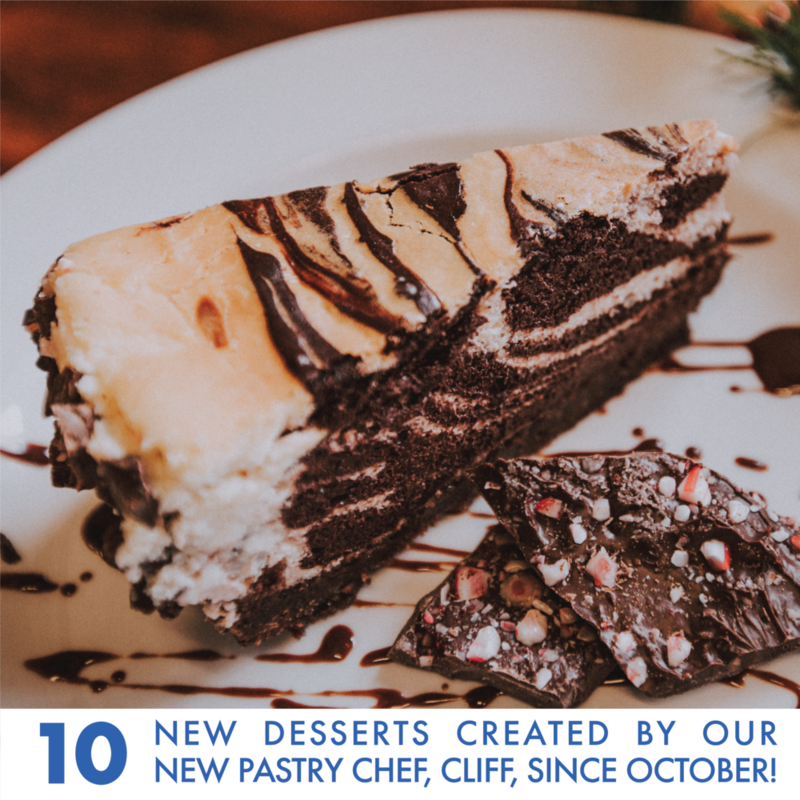 2018 marked many milestones for us, including our 23rd birthday on September 16th. Cheers to 23 more! If you didn’t know, malted barley is an essential part of the brew process, and by year’s end we utilized 523,767 lbs. 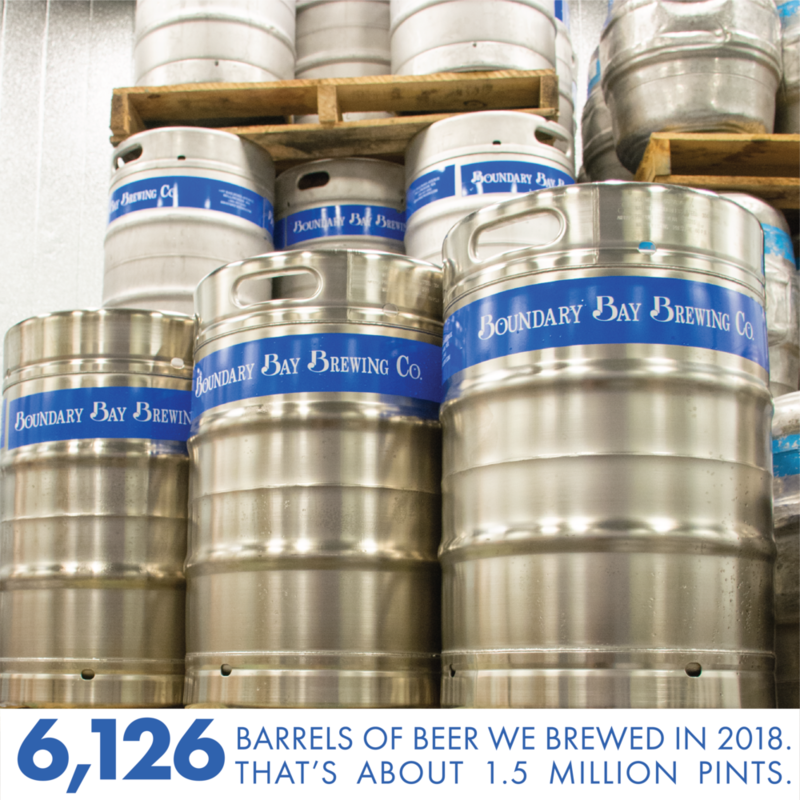 With a total of 6,126 barrels of beer brewed, we certainly enjoyed many new creations and classics alike. Hops are where it’s at, and with more and more varieties being cultivated & produced, fantastic options just keep growing. We branched out this year and delved into 25 different hop varieties. to be brewed again, and seasonals that we’re already waiting for their return in 2019. From our iconic Cabin Fever to our summer sensation, Citraweisse, our canning line was busy all year long. During 2018, we released seven different seasonals in cans and continued canning two classics: Scotch Ale and Cedar Dust. In August, we introduced a new way to savor our craft: The Crowler Machine! You can now enjoy fresh-off-the-tap beer in a long-lasting, super portable 32oz. can. What do you order when you hit up our restaurant? Mac & Cheese? If so, then you were with good company. 8,516 people ordered the same thing! The holiday season brings cheer, beer and, of course, tasty treats. This year, we used 200lbs(!!) of locally-sourced pumpkins in our legendary Drunkin’ Pumpkin Pies. 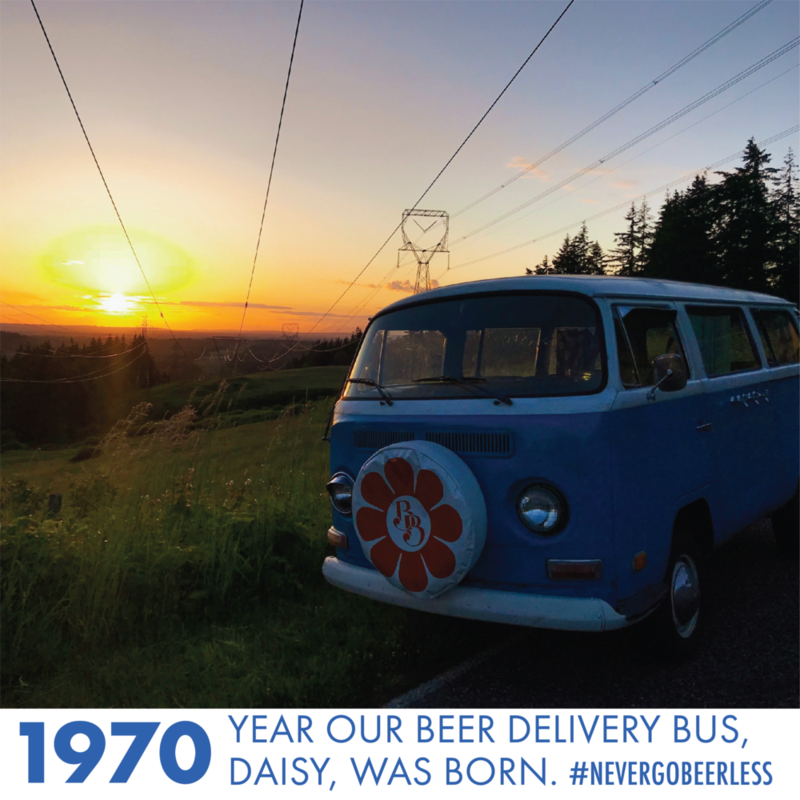 Our beloved delivery bus, Daisy, turned 48! She first hit the road for the first time back in 1970. 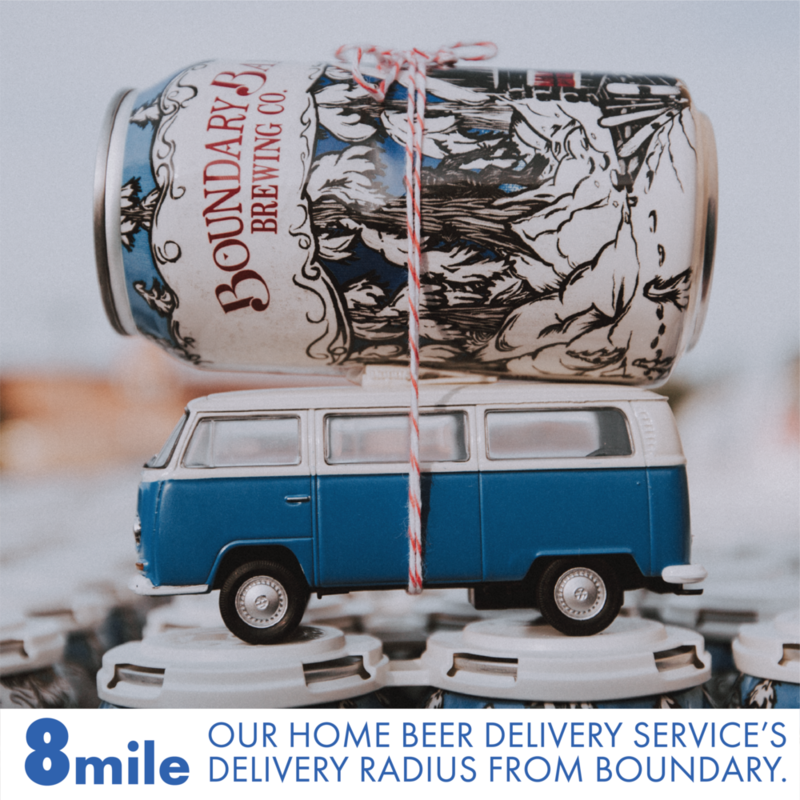 The first full-year of Boundary Bay Beer Delivery brought fresh, handcrafted beer, snacks and goodies to anyone and everyone (over 21) within an 8 mile radius. Fielder's Choice Golden Ale! Our Owner Ed Bennett even got to toss out a ceremonial first pitch! Our team had 10 relay stops during the annual Taps to Trails race (and maybe a few more pints than that)! 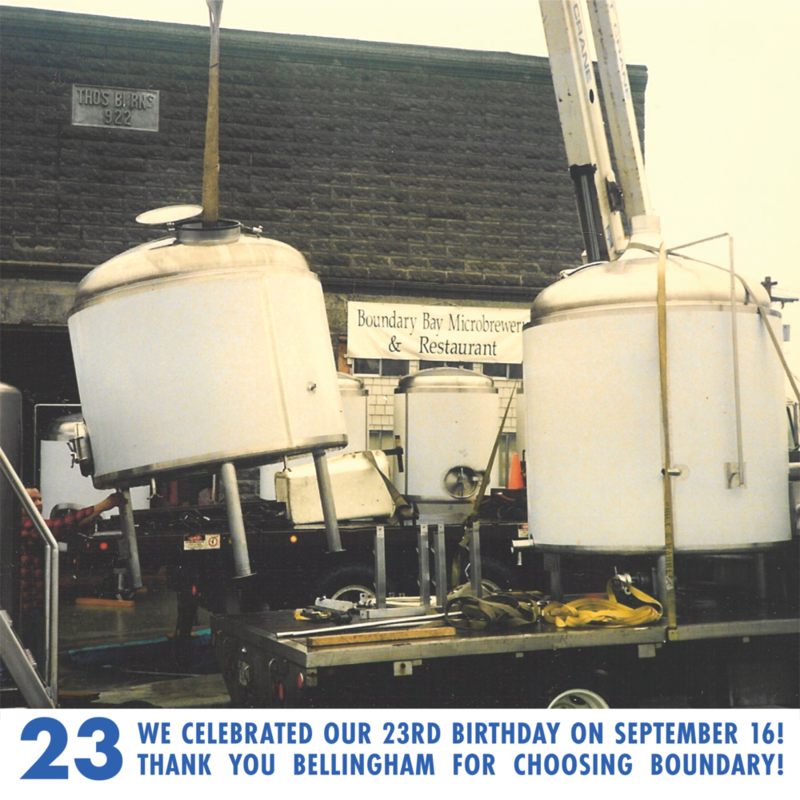 Between our three music spaces, The Mountain Room, The Taproom, and Bellingham’s Backyard: The Boundary Bay Beer Garden, we hosted 130 live musical performances. In 2018, we refreshed the classic green tap handles out for a fresh, Boundary Blue. We look forward to all that 2019 will have to offer!